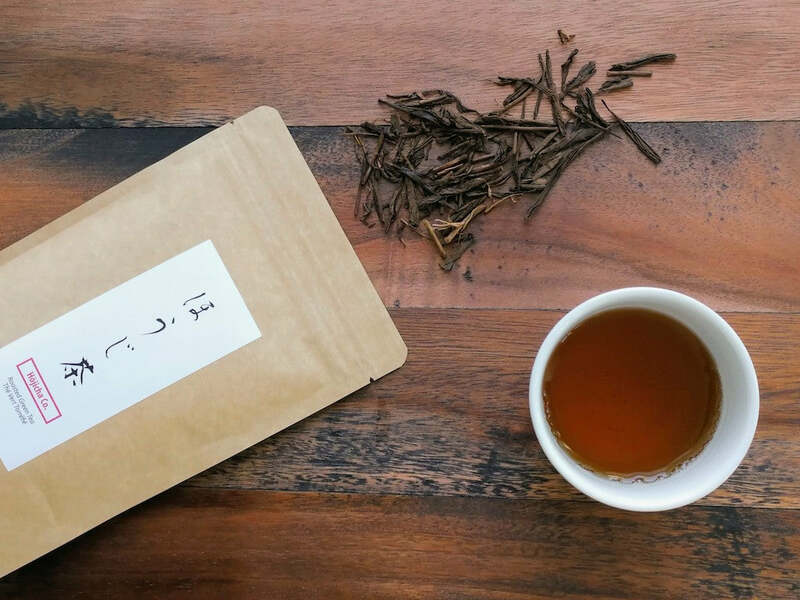 How to make hojicha roasted green tea – Hojicha Co. Prepare hojicha by adding 5 grams of the roasted green tea leaves into a teapot or a tea infuser. Heat filtered water to 90°C (194°F), and pour 250 ml of water over the hojicha in a circular motion. Let the hojicha steep for only 30 seconds. Set the teapot or tea infuser aside, and save the tea leaves for a second steep. If using a traditional Japanese teapot (kyusu) with a built-in strainer at the spout, divide the hojicha evenly among your tea cups. Carefully pour out every last drop of hojicha, and save the tea leaves for the next steep. Enjoy the smoky aroma of hojicha, as you sip on your roasted green tea. Let it cool to bring out hojicha’s natural sweetness as the flavor deepens. Hojicha can be steeped for a second and a third time. Simply steep hojicha in 90°C (194°F) water for 30 seconds longer than the previous steep for a rich flavor. Try the second steep as a latte or as a cold tea later on. Cold brew hojicha by adding 5 grams of roasted green tea leaves to 500 ml of filtered water. Refrigerate for at least 10 hours, and enjoy the delicate flavor of the hojicha cold brew. Prepare iced hojicha by adding 10 grams of the roasted green tea leaves into an teapot or a tea infuser. Heat filtered water to 90°C (194°F), and pour 250 ml of water over the hojicha in a circular motion. Let the hojicha steep for 30 seconds. Pour the hojicha over ice cubes for a refreshing summer drink. Skip the ice to experience the naturally sweet flavor of slow-chilled hojicha. After preparing hojicha, cool the tea on the counter for a few minutes. Then place the hojicha in the fridge to create the perfect drink for a warm day. Since hojicha is low in caffeine, it can be sipped anytime. After preparing hojicha, add a splash of your preferred type of milk to your cup. Take your hojicha latte to the next level by first steaming your milk, or by using a milk frother for creamy latte foam. Want to get exclusive discounts and secret giveaways? Enjoy the rich and naturally sweet taste of roasted green tea. Shop our original hojicha from Kyoto, Japan. We distribute authentic and fresh Japanese green tea directly from the fields of Kyoto. Originating from the prestigious region of Uji, home of Japanese tea, our products are categorized as Uji-cha, or Uji tea. Our roasted green tea contains no additives, and no unnecessary blending or processing.